Before becoming arguably the most influential soccer coach in history, Bela Guttmann had to face far more important challenges: evading capture during the Holocaust, losing most of his family to the Nazis, and escaping a labor camp shortly before his fellow prisoners were sent to their deaths. The Greatest Comeback, David Bolchover’s exceptional biography of Guttmann, tells the parts of this story that Guttmann rarely addressed, using thorough research and a winning voice to produce the most comprehensive record of his life. Bolchover does an excellent job of establishing Guttmann as a dominant and groundbreaking soccer force in the years before the war. He starred on Jewish teams in Hungary and Austria that regularly faced anti-Semitic crowds and needed extra security, even as newspapers acknowledged their prowess and players like Guttmann were chosen for national teams. The fates of individual teammates, friends, and fans are peppered throughout the story, and Bolchover uses these anecdotes to underscore the all-consuming nature of the Holocaust. This also captures the luck involved in Guttmann’s survival, as his high profile made capture likely. His future wife hid him in an attic for months, and yet he still wound up in a slave-labor camp before a daring escape. 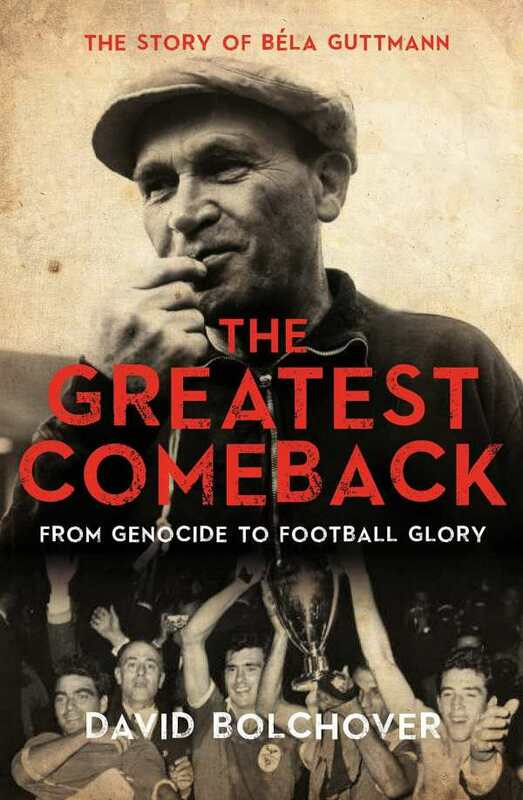 While the story of Guttmann’s survival during the Holocaust is consistently gripping, The Greatest Comeback manages the difficult trick of also making its subject’s postwar soccer achievements fascinating. The coach’s many career moves took him to places like Brazil, Portugal, and Uruguay, as well as back to the very Austrian and Hungarian regions where his friends and neighbors were killed. While chronicling these moves, Bolchover not only writes expertly about football and the famed manager’s worldwide influence, but always shows how anti-Semitism and the legacy of the Holocaust continued to impact the world at those same points. The Greatest Comeback is a massive achievement as both a sports biography and a survivor’s tale, a harrowing and rewarding read.